On the Blu-ray case for 1989’s Cohen and Tate, it quotes an Internet site that deems the film “a taut, bloody slice of 80s action just waiting for rediscovery”. The term “rediscovery” implies that anyone knew the flick existed in the first place, and I’d challenge that. I was in my early twenties back then and I boast absolutely no memory of this thriller. Released in the January dumping ground, I suspect the movie sank like a stone. Still, I like Roy Scheider, so I figured I’d give the forgotten flick a gander. After nine-year-old Travis Knight (Harley Cross) observes the killing of a Texas mobster, the FBI takes him into protective custody. The mob wants answers of their own, so they send two hitmen to retrieve him. This pair includes the older, low-key Cohen (Scheider) and the younger, hot-headed Tate (Adam Baldwin). With the help of a corrupt FBI agent (Marco Perella), Cohen and Tate kill Travis’s parents as well as the remaining protectors and kidnap the boy. They take him on a long drive to their employers and find themselves at each others’ throats, partly due to personality conflicts but also due to complications Travis brings to the picture. On the Blu-ray’s case, it discusses the boy’s actions in this way: “Realizing their mutual hatred is his only hope, Travis plays this lethal odd couple against one another.” Reading that led me to expect something that veered toward the wacky and comedic side of the street, as I figured Travis would be a little wiseass who gets on the nerves of his captors. That’s not the case. While the movie does display some dark humor – usually via Tate’s perverse love of violence and death – it usually stays dramatic. Unfortunately, Cohen brings a character piece that lacks compelling characters. None of them ever develop into anything interesting, and the psychological battle between the leads goes nowhere. The actors fail to elevate the piece as well. Cross and Baldwin compete to boast the more awful Texas accent, though Cross probably wins because he simply couldn’t act, period. As I mentioned earlier, I like Scheider, but he seems less than engaged here. He can’t do anything to redeem the material and add life to the tale. Much of Cohen simply limps along as we wait for the inevitable “big ending”. Sure, we get the occasional burst of violence, but little of this creates thrills. Once we reach the finale, the film remains problematic. The ending feels fairly ridiculous and it does nothing to fix the movie’s flaws. In truth, I’ve seen worse thrillers than Cohen, but that’s faint praise. 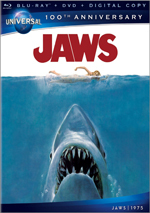 Audiences ignored it in the 1980s and I can’t see any reason for people to embrace it now. Cohen and Tate appears in an aspect ratio of approximately 1.78:1 on this Blu-Ray Disc. While it clearly showed its age, the image offered a satisfying presentation. Sharpness seemed good. A little softness affected a few wide shots, but those were insubstantial. Instead, overall definition looked concise and tight. I witnessed no issues with moiré effects or jaggies, and edge haloes remained absent. With a natural layer of grain, noise reduction didn’t appear to be a concern, and the movie came free from print defects. Colors were decent but reflected the issues that affected some of the era’s film stocks. This meant hues that seemed a but mushy, but the Blu-ray mostly displayed acceptable to good tones. Blacks were also a little inky at times, but they seemed fine as a whole, and shadows showed reasonably solid clarity. This was about as good an image as I could hope for the film. Like the picture, the film’s DTS-HD MA 5.1 soundtrack also showed its age. That said, it was fine given those limitations. The soundscape showed decent stereo imaging for the music and gave us a fair sense of environment. I wouldn’t call movement and integration truly natural, but they added some involvement to the proceedings and used the five channels in a reasonably satisfactory manner. Audio quality was dated but decent. Speech could be a little brittle, but the lines remained intelligible and were usually natural enough. Music gave us acceptable vivacity, and effects seemed okay; they lacked great clarity but suffered from no obvious distortion or other flaws. This was a more than serviceable soundtrack for a 30-year-old movie. Among the disc’s extras, we locate an audio commentary from writer/director Eric Red. He delivers a running, screen-specific discussion of the film’s origins and development, story/character areas, cast and performances, cinematography and editing, music, themes and influences. The only real negative I can find here comes from Red’s occasional lulls, as he goes silent a bit too often. Otherwise, Red offers a pretty solid discussion. He covers all the expected topics in a thorough, insightful manner and provides a good array of notes. Except for those gaps, this ends up as a nice chat. By the way, possibly the most interesting part of the chat occurs when Red accuses others of stealing from Cohen. In the case of Pulp Fiction - which he believes was influenced by the dialogue in the driving scenes – Red refers to it as a “rip-off/homage” and he doesn’t seem to mind too much. Indeed, he acknowledges his own instances of “rip-off/homage” in Cohen. However, Red displays true disgust when he discusses his belief that Elmore Leonard’s novel Killshot blatantly stole from Cohen. Based on the timeline, though, I suspect Red is wrong. Cohen hit screens in January 1989, and Killshot made it to shelves in March 1989. Does Red really think Leonard saw the movie and churned out a new novel in such a short period? This notion seems especially far-fetched given that as Red admits, hardly anyone saw Cohen in 1989. I guess it’s possible that Leonard heard about the story during the film’s production and used it as an influence for his book, but I think this remains unlikely. Projects with similar themes/stories/characters come out nearly simultaneously all the time. Unless Leonard admits he stole Cohen, I’ll chalk up the similarities to coincidence. Eight Deleted and Uncut Scenes run 19 minutes, 41 seconds. In these, we see more with Travis and his family pre-siege, a bloodier assault, extended bits during the car drive, and an alternate ending that involved Travis’s father. None of these add much to the experience. A featurette called A Look Back at Cohen and Tate goes for 20 minutes, 42 seconds and includes Red, editor Edward Abroms, cinematographer Victor J. Kemper, and actors Kenneth McCabe, Harley Cross, and “Frank” Cooper Bates. “Look Back” examines the movie’s roots and development, editing and the film’s level of violence, cast and performances, story/character areas, and themes. Some of the material becomes redundant after Red’s commentary, but the additional perspectives make it worthwhile. In addition to the film’s trailer, we find a Still Gallery. It shows a nine-minute, 52-second compilation of behind the scenes shots, publicity photos, advertisements, storyboards and pictures from the film. It turns into a good collection of elements. 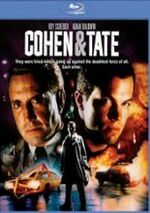 A forgotten thriller from the late 1980s, Cohen and Tate can’t be viewed as some “lost classic”. Erratic and less than engaging, the movie fails to create a dynamic – or even moderately stimulating – tale. The Blu-ray brings fairly good picture, audio and supplements. This isn’t a terrible film but it’s mediocre at best.